​Thinking about giving a new look to your home? Want a more updated color palet? The colors of a room can do wonders for how we feel and since our homes are our sanctuaries, shouldn't we have the colors that make us enjoy our homes the most? 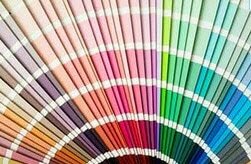 Our color design expert can guide you through color selection based on the desired look you want to achieve. If you have a color in mind, he can offer suggestions for the most up-to-date shade and complimentary colors for accents that coordinate with your interior style. Looking for ideas? He'll ask you a few questions about your design style and will provide you with options to give a new look to your home. Need color matching? Our expert has years of precision in the paint industry and can prepare excellent color matches for touch-ups, repairs and refreshes. Attention to detail in our all trim work. Our entire team takes pride in their work and strives to exceed your expectations for the project. During the initial visit to your home, our Team Lead will ask a number of questions regarding the work you want done to understand your goals for the project. He'll walk with you to view each room, discuss color choices and point out any repair work that maybe needed. He'll point out nail pops, drywall seams that are separating and any surfaces that need sanding. These are all covered in our painting services. 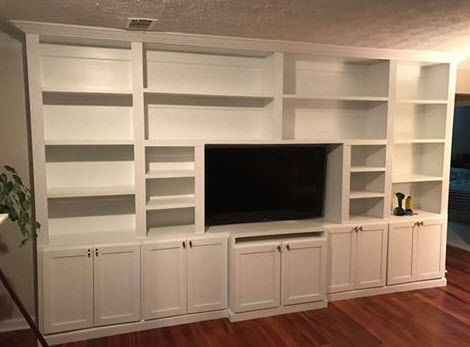 Repairs to drywall, water damage or other repairs that we are able to complete but would be in addition to the paint project will be outlined in the proposal and your approval sought before we begin repairs. On the scheduled project start, our team will arrive and our team lead will walk you through the project timeframes. We find that listing our process below helps clients feel comfortable with our expertise and give you an idea of what to expect. On arrival, team lead confirms with owner scope of work to be completed as listed on the estimate and the timeframe. Light furniture moved as needed. Ensure area is safe and hazard free for homeowners. Drop cloths places as appropriate to protect furniture, floors and other items in the room. Surface issues are addressed such as nail pops and drywall seams. Additional repairs completed as outlined in the estimate. Prepare trim and caulk as needed. Review with homeowner until 100% satisfied. Sherwin Williams offers a selection of high quality interior paints to meet the needs of your home and family. 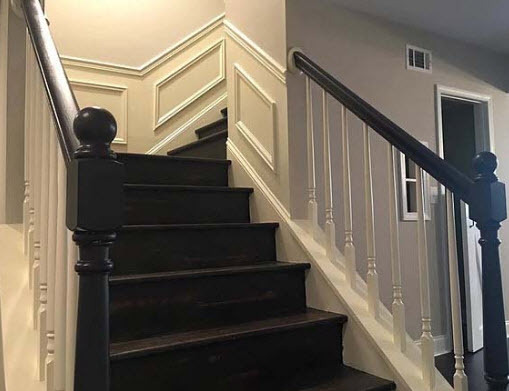 During our free Paint Consultation, we'll ask questions about your goals for your paint project, plans for your home and need for the durability of the interior paint. Based on the information you provide us, we'll recommend the paint best suited for your needs. There are also special paints for allergies that maybe of interest so mention any interest during our visit. Sherwin Williams created Harmony paint which provides a formaldehyde reducing technology promoting better indoor air quality for you and your family. The paint reduces mold and mildew on the surface of the paint even with wear and washes. See accompanying information provided on paint can. It contains the latest in paint innovations with technology to improve indoor air quality for your family by reducing VOC levels from various sources including cabinets, carpet and synthetic fabrics. 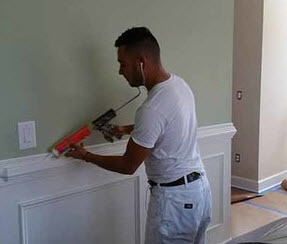 ​This paint is GreenGuard Indoor Air Quality certified. We all want to protect our families and our homes. ​Ask us about the benefits of Harmony Paint during a call or when you schedule a paint consultation. Have you or anyone you know ever wondered why someone would create that cottage cheese looking finish that we call "popcorn ceilings"? Invented in the 1950s as an easy to spray on acoustical foam, it was prized for its ease-of-use and ability to quickly cover holes, uneveness and other flaws in ceilings. Our team is trained in the newest techniques in popcorn ceiling removal to ensure the safety and protection of your home and the ceilings we're treating. It is surprising, but harsh chemicals are no longer needed. Typically, a silk-like washing spray is all that is needed to loosen the material and then strong backbone work applied to remove the material. It does become a bit messy so we take every precaution to protect your home by placing cover cloths and plastic throughout the entire work area. Vents and electrical plates will also be covered to ensure no residue gets inside. We've seen homeowners try to remove the popcorn ceiling material on their own only to end up calling us after a few days. We've often come in mid-project and can pick-up where someone left off. Other techniques from the mid-century period include molded the drywall called Stipple or Knockdown. These plastering techniques from the 50s often require professional assistance for removal as the drywall has hardened to structural surfaces. As you try to remove it, you may start damaging the interior structure of the wall. ​We may find that it is more cost-effective to replace the drywall rather than using resources to remove the product. Sometimes, drywall can be replaced in a matter of hours whereas drywall or plaster removal may take days.